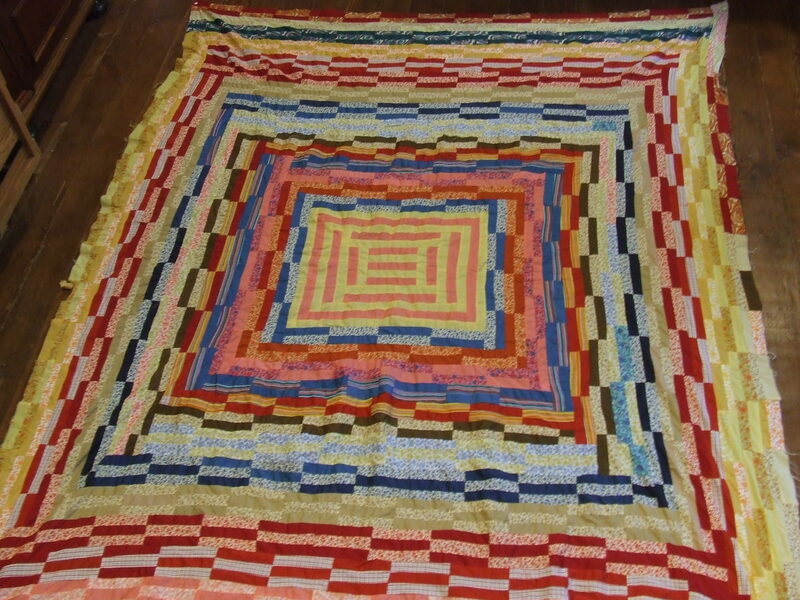 When I was growing up my family was not a quilt family, we just had standard blankets. 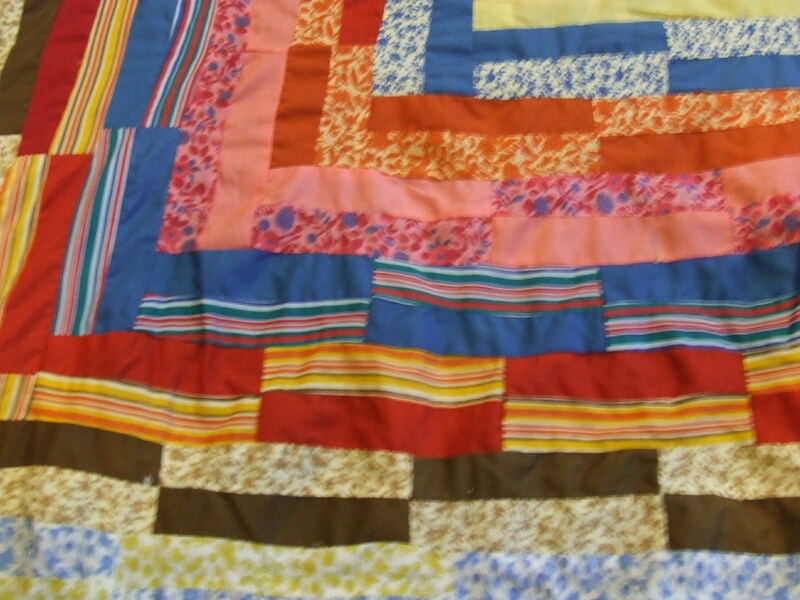 My only real exposure to quilts was what I saw on ‘Little House on the Prairie” and “The Walton’s”. I do remember That Holly Hobby was popular in the 70’s with her patchwork dress and large bonnet. I do remember seeing quilts in stores with her image on them. people still make Home made versions that are very cute. you must use rickrack to get the full impact! Lately I have been adding 70’s quilt tops to my collection. Here is the newest one. lots of calicoes and the solid fabric is that wonderful poly blend fabric that is designed to survive a nuclear bomb. The solids are all very synthetic! I’m not a fabric expert…could be rayon? I know the threads are extremely fine and very tightly woven and fray like mad. But something about them makes me smile. They aren’t particularly well made and that fabric is not easy to hand quilt through…there is a reason we use cotton today! but I still plan to finish them. This one is also very much a synthetic fabric top and using the heavy thread is a real challenge!….the needle does not like to go through that tight weave and it is nearly impossible to pull a knot through!! It was actually much easier to hand quilt denim, but I think it will be worth it. 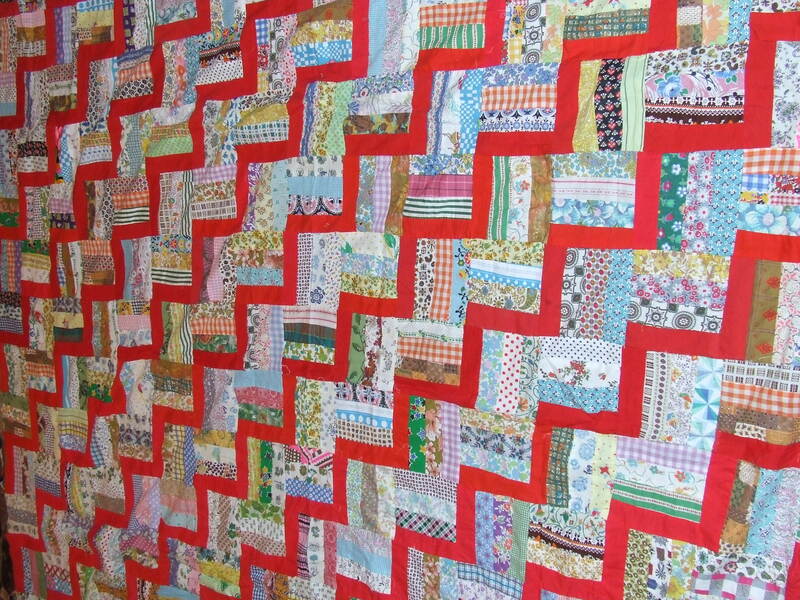 This entry was posted in Quilts and tagged 70's quilts, hand quilting, Quilts, vintage quilt tops. I love seeing other people looking at the 1970s. 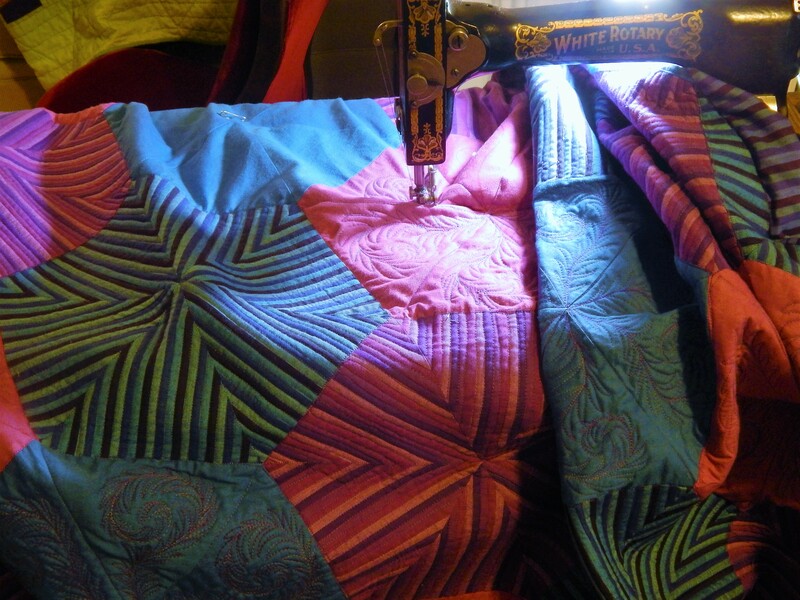 It was a very interesting time for quilts, and I’ve got a couple tops but mostly finished quilts – about 40 of them. Can’t wait to exhibit! 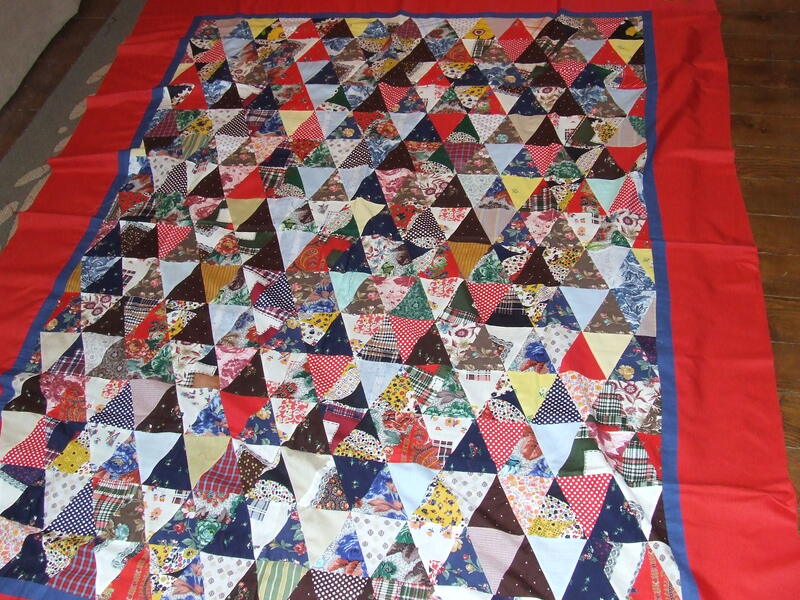 I think because quilting wasn’t something a lot of people did in the 1970’s quilters used their scraps a lot more and there was no quilt police telling quilters there were “rules” 🙂 I remember my first quilt that I made I cut squares about 4 inches in size of every scrap I could find which wasn’t a wide variety back then as I didn’t really have a stash – I was using used clothing mainly that was going to be tossed or recycled – I know it had a lot of different types of fabric in it. I tied it as I didn’t really know how to quilt back then. 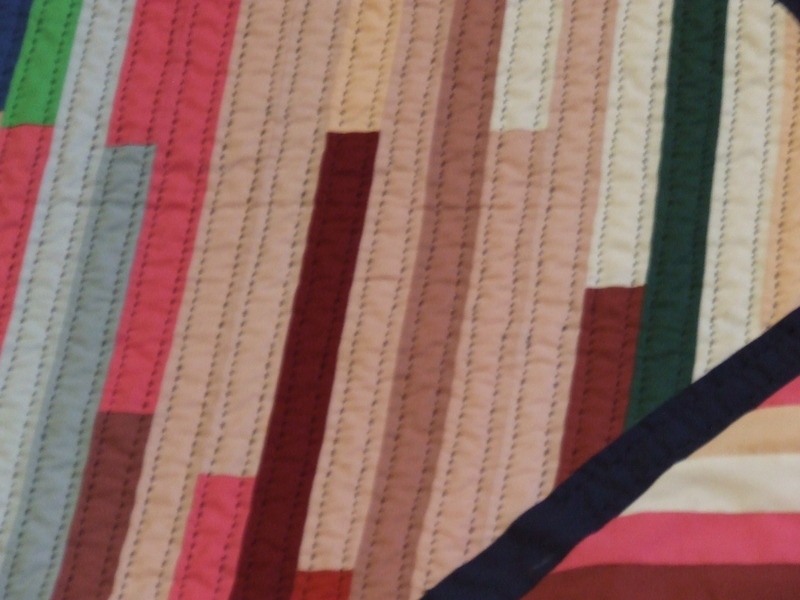 We went more by what our grandmothers would have used then what we shopped for – I don’t remember seeing quilt shops very often back then – but maybe I wasn’t looking? 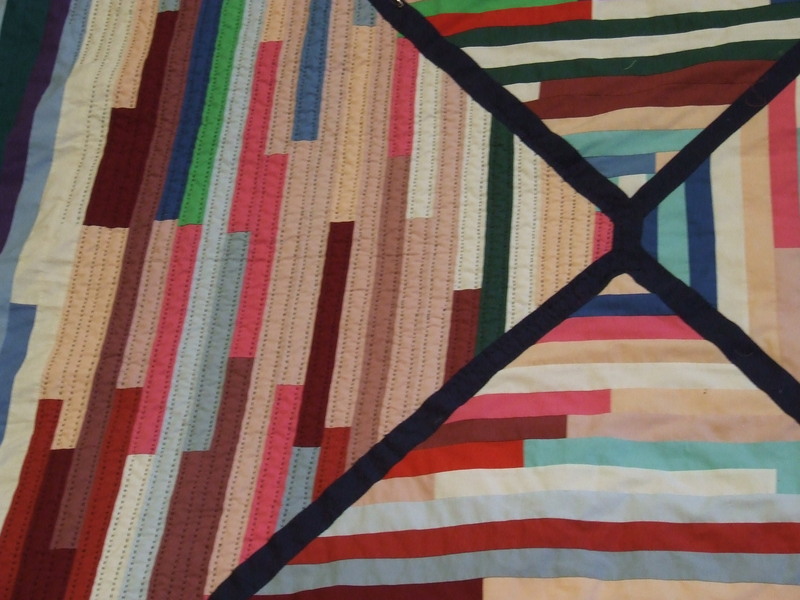 I think that the quilt police that we have now should take a lesson from back then and relax…..I have never been a fan of rules! do you still have that quilt? It would be fun to see!! 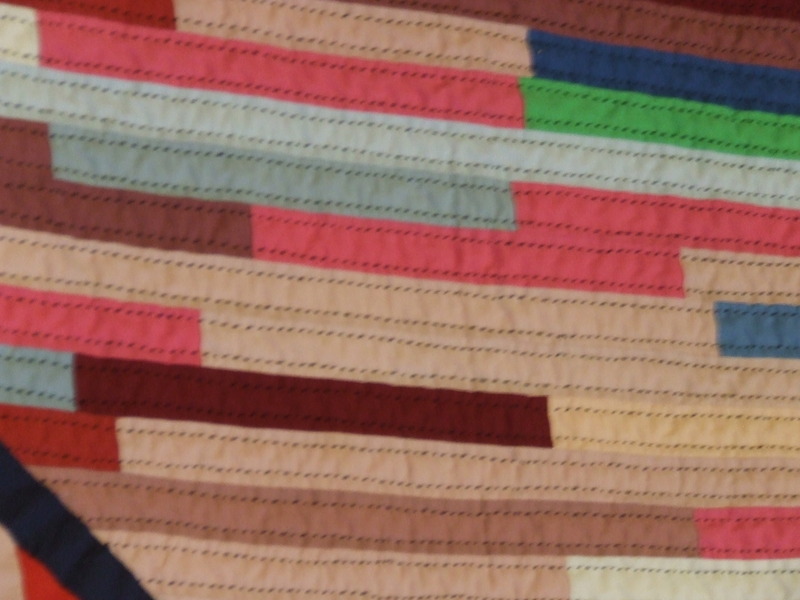 no I don’t have it anymore – one of my brother’s has it – he calls it my “humility quilt” indicating that if I get too cocky about how much my quilting has improved he can drag it out and show people how poorly done it was 🙂 – what can I expect – my youngest brother! I did more work on it and then gave it to him when he was in college – what some 25 years ago? I guess it meant something to him that he still has it! What talent you have for turning an ugly into a beauty. 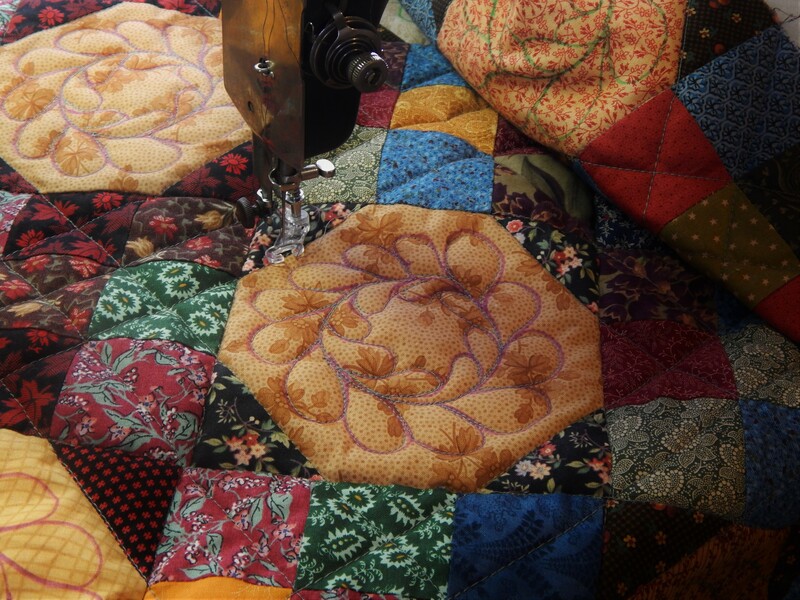 The quilting makes the piece come alive. I just discovered your blog and I’m addicted. A question: When you say 5 stitches to the inch, does that mean what you see on top or bottom and top? Thanks! Glad you found the bolg! I agree with Barbara: Your blog is addicting. 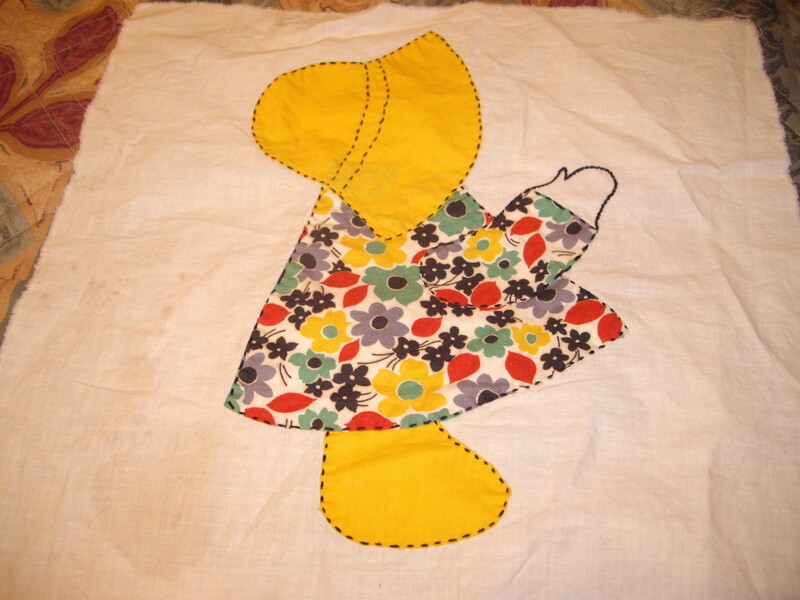 It’s fun to see you bring an old, neglected quilt top back to life, or to a life it might never have had. I am enjoying watching this one come to life. Thanks Gerrie! it makes it more fun to know others appreciate it! under Gwen Talks about Hand Quilting 5. It’s a technique she was taught by Mennonites, some of her early quilt mentors. I’ve collected a few 70’s calicos over the past few years. I think I am getting close enough to having enough variety to make a retro …..some are cotton but most are blends… the reds are so close to Robert Kaufman’s Kona Tomato Red that I am thinking of using it with the prints. 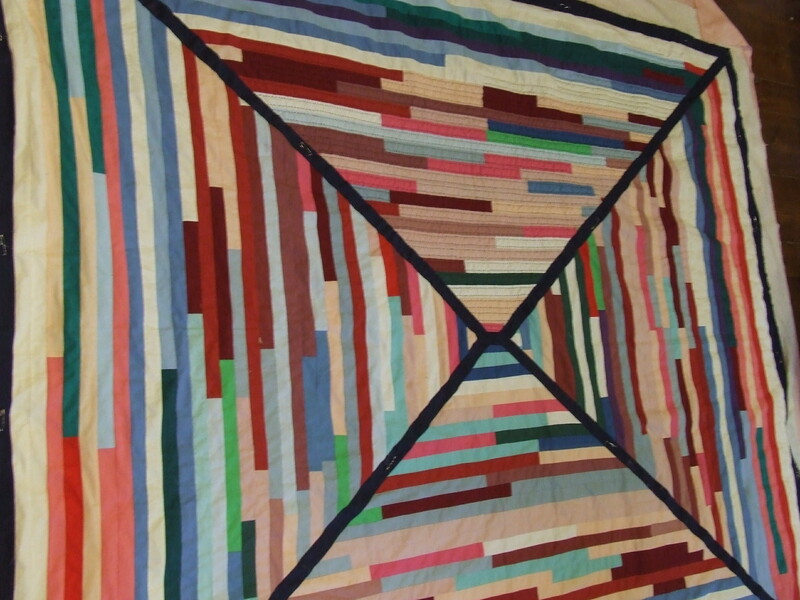 I am curious how the hand quilting is working on the blends ….will I be frustrated if I use a 100% cotton with the calicos or will that make my life easier. I saw one blogger had hand pieced the 70’s calicos and was even using the puffy poly batting…..not sure if I want to go that authentic. Any thoughts? 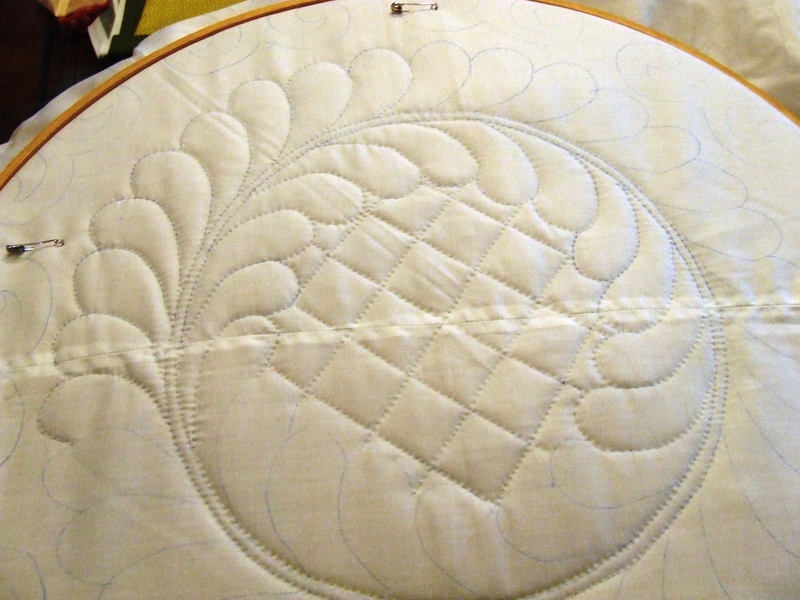 I saw a pinwheel pattern that seemed to be the one I wanted to use….if so, then I would likely be just outline quilting . I think it will make your life a lot easier to use the cotton…the kona tomato red seems like it would be a great choice color wise and will be soooo much easier to hand quilt. The blends are not nearly as easy. I would never have guessed that it would make a difference but it does. 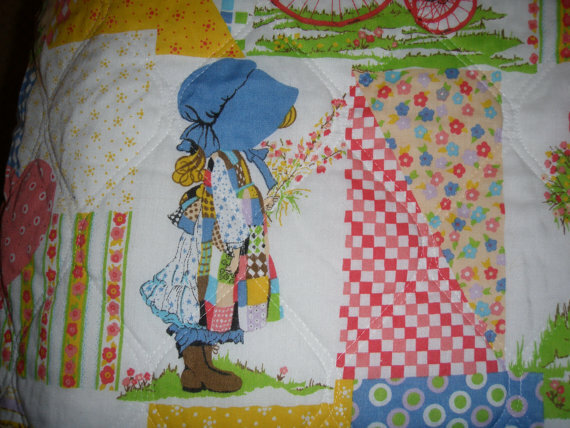 I have to say I have been thinking about doing one with the puffy poly batting….but I have not hand quilted that before so I am not sure I will take the risk…I understand that bearding can be a problem with poly…..sounds like you have a great plan and outline quilting should fit perfectly….good luck!! Gosh, you are fast with the quilting. If you run the needle through your hair it will slide thru the fabric easier. Every few minutes just run it across your head. It doen’t hurt anything. “Back in the day” when we pinned all cloth diapers that is how we got the pins to work. 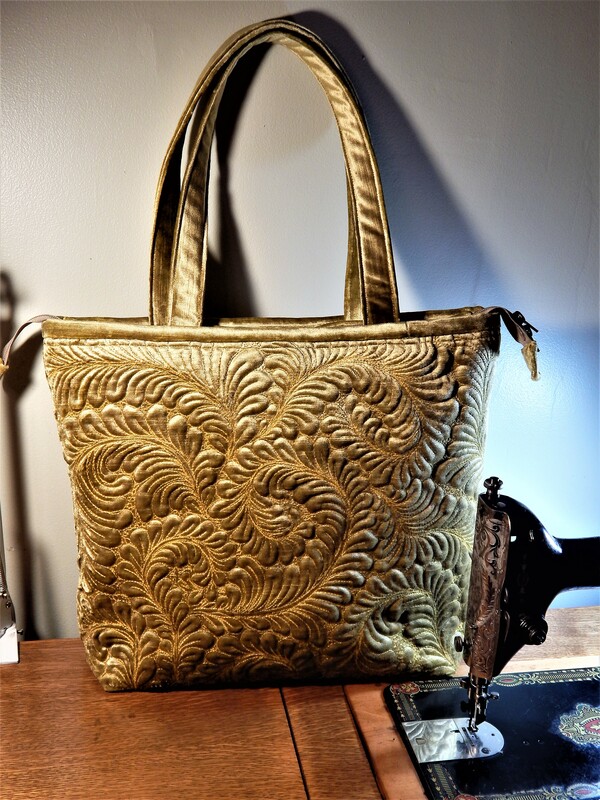 Love the photos of your stitching! I remember Holly Hobby very well! Fun to see her again! 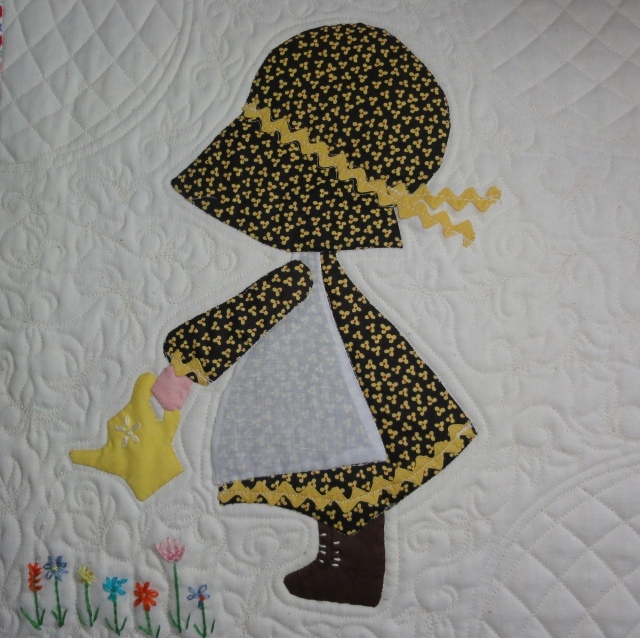 And I LOL (for real) when you called Sunbonnet Sue her “deformed ugly” sister! !